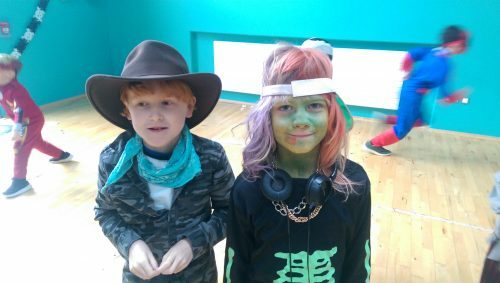 We’ve been very busy since September. 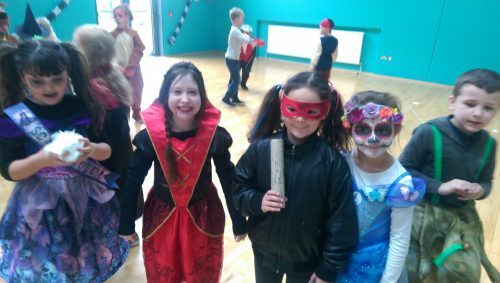 Keep scrolling to see what we’ve been up to! 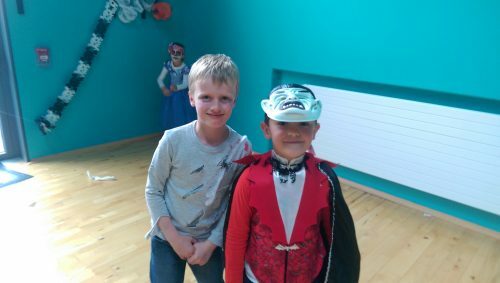 A story teller visited us and told us an exciting and different version of The Pied Piper, loaded with action and music. 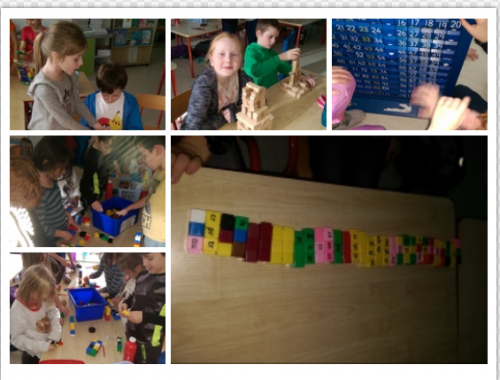 2nd Class practised counting in 2s, 5s and 10s using concrete materials. 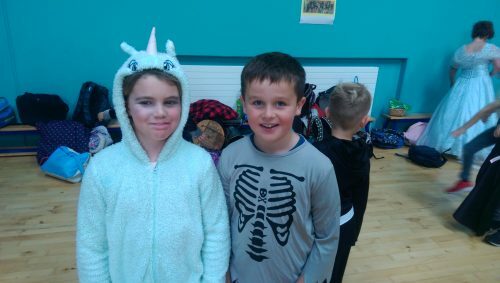 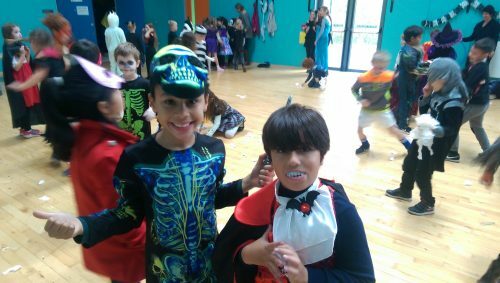 We saw lots of scary and spooky Halloween costumes and had great fun playing games and dancing at our Halloween disco. 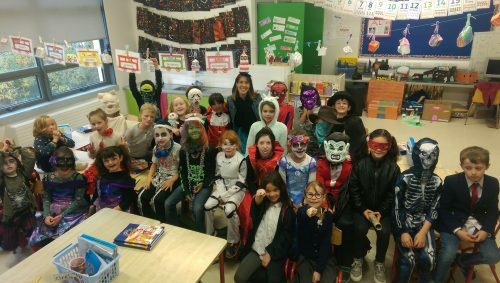 2nd Class learned about materials used for building and built their own houses, hotels, Hogwarts and haunted castles. 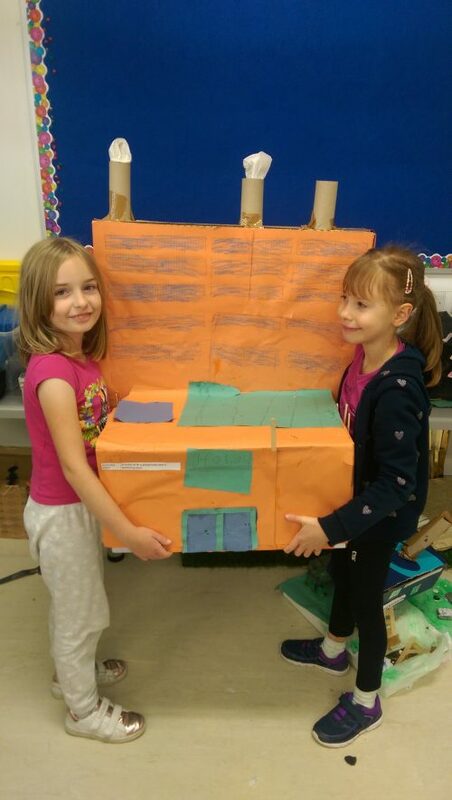 A comfortable tree house by Emilie and Izzy. 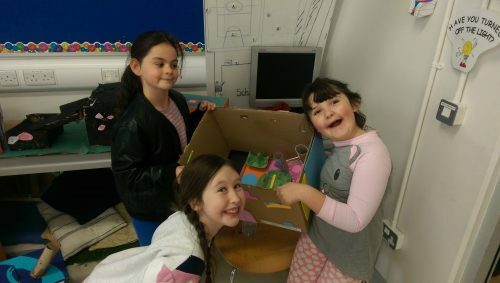 Hogwarts School of Wizardry and Witchcraft by Frida, Sophie and Ariana. 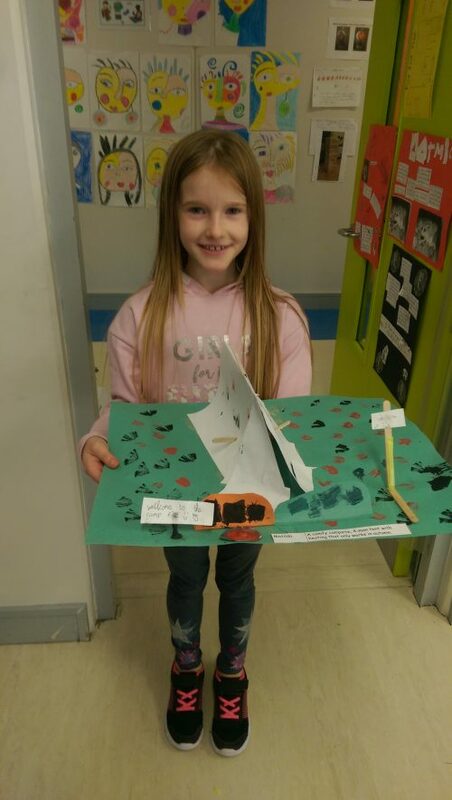 A comfy campsite, 4-man tent with heating, which only works in autumn, by Matilda. 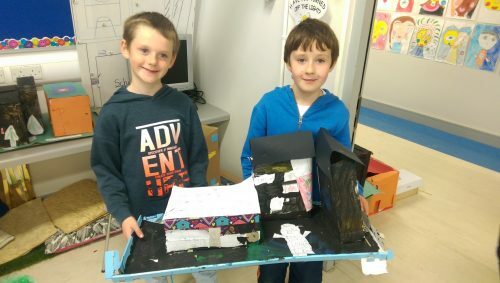 A house with a swimming pool and a very high diving board by Colum. 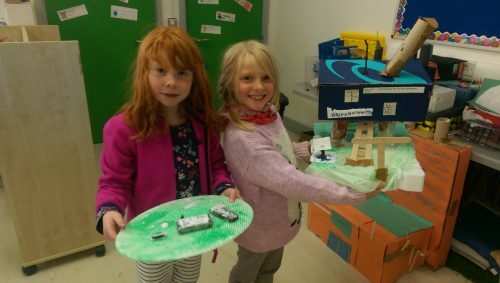 A hotel with a swimming pool and a playground by Cora and Kasia. 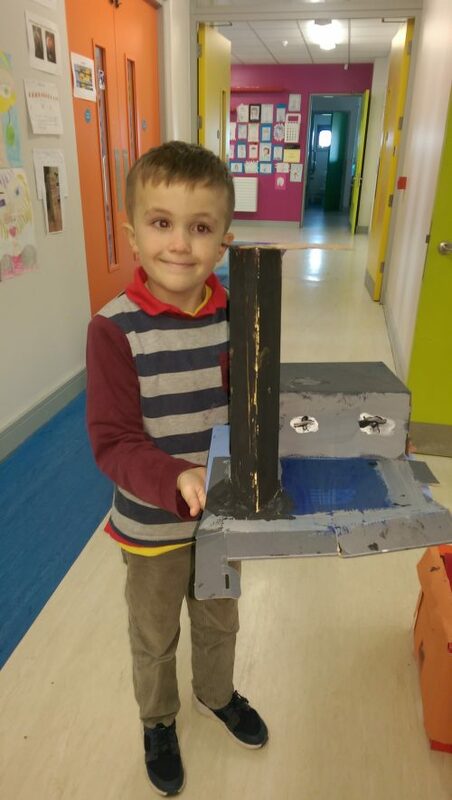 A spooky haunted house by Mackenzie and Kai. 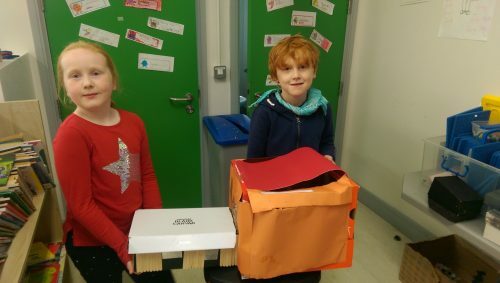 A detached house and a log cabin by Daniel (Fionn and Arlo not present in photo, thank you Sophie for helping hold the buildings). 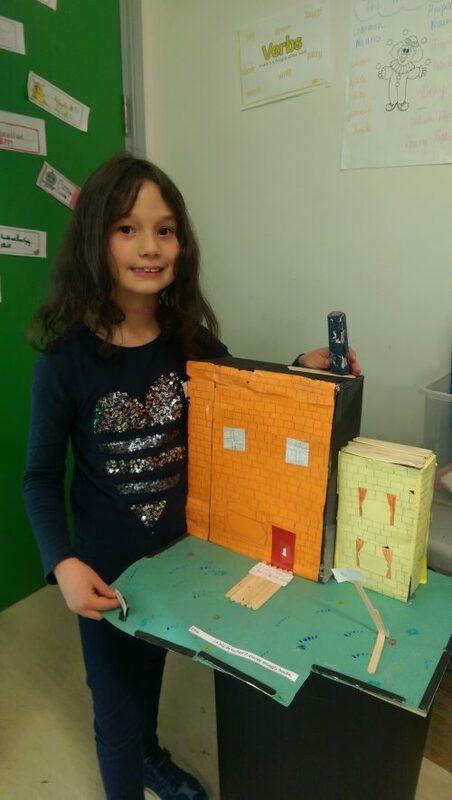 A big two-storey snuggly house by Ellie. 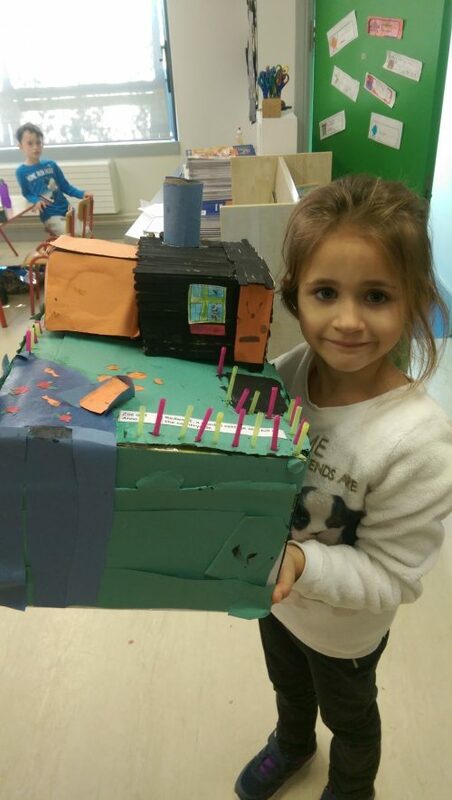 ‘Redwood’, a wooden cottage on a hill in the countryside, by Zoe and Anna. 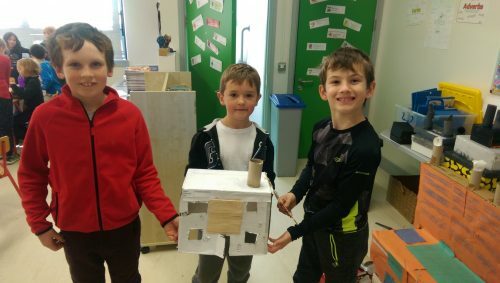 A haunted mansion by Ethan, Alex and Damon. 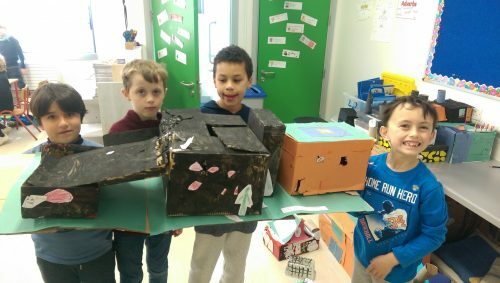 A haunted castle with zombies and ghosts, by Hector, Evan, Lucas and Zach. 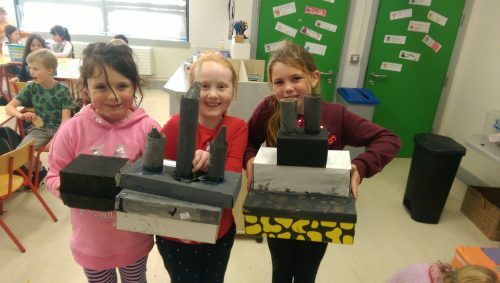 A pug-unicorn-princess castle, with a sensory garden for the pugs to crawl through, by Naoise, Juno and Alexia. 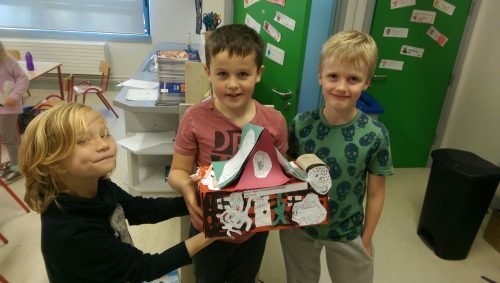 A detached crazy house by Max, Elliott and Jacob.